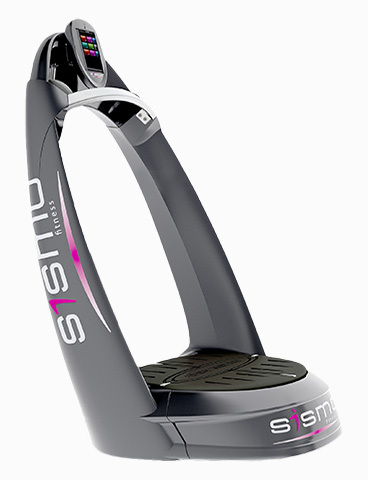 Rehabilitation side, Sismo appears "pro"
Sismo platforms are inspired by the balance plate. They generate a concentric-eccentric movement requesting muscles avoiding any shock to joints and vertebrae. They are thus intended specifically for people in rehabilitation or elderly people who wish to maintain their tone despite reduced mobility. In addition to paramedical care, Sismo is ideal for the proprioceptive work, recovery muscle strengthening, joint, toning members and everything related mobilization in general. The work will be done in support monopodal frontal and sagittal, and even on the knee with the new coating ventilated of the Sismo 3D.